Anything Goes star Stephanie J. Block lost out on the award for Favorite Replacement, so she marches on stage to accept Wicked’s award for Favorite Tour. Brian D’Arcy James and Tammy Blanchard look on, laughing. 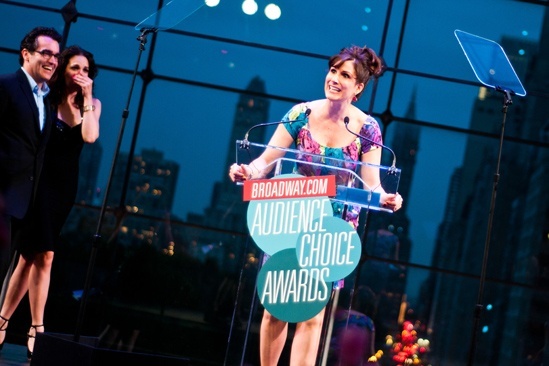 Get a front row ticket to the 13th Annual Broadway.com Audience Choice Awards, hosted by Darren Criss at the Allen Room on May 13, 2012.